Here's what people are saying about James POTENZA Team Realtors. I had to relocate to Houston due to my Job. 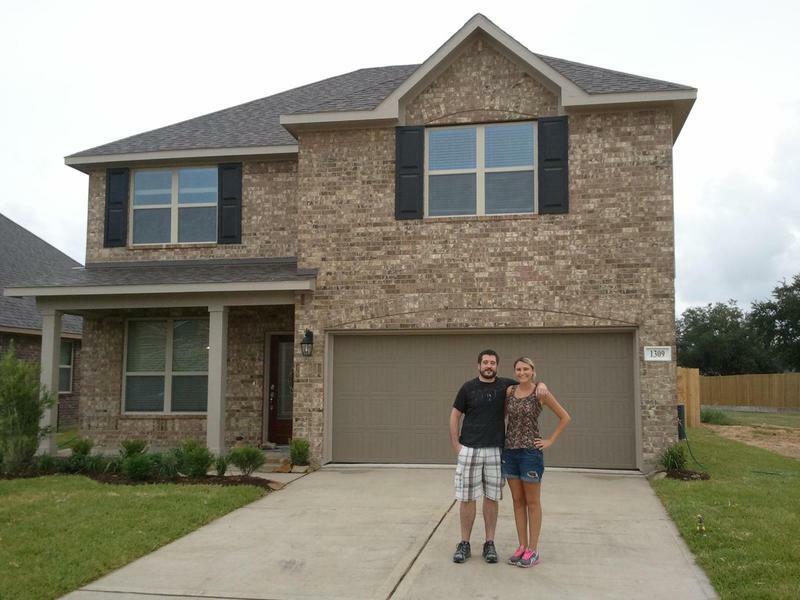 My wife and I decided it was time to buy a house, the only problem was that I didn't know anyone that could help me at Houston, that got me a bit worried going thru that stressful process. That's when we meet James Potenza and he explained the entire process step by step. Right a way I knew I found the right person for the Job, he is very Professional and he's very knowledgeable when it comes to inspecting a house. He was pointing things out that any other realtor would not do. He gave me the impression that he was the one buying the house being so meticulous when he was showing me the houses. I really felt that he got my back thru the entire process, always looking out for our best interest.... On behalf of my family I thank you for all your help and guidance thru this process... You are the Best!! 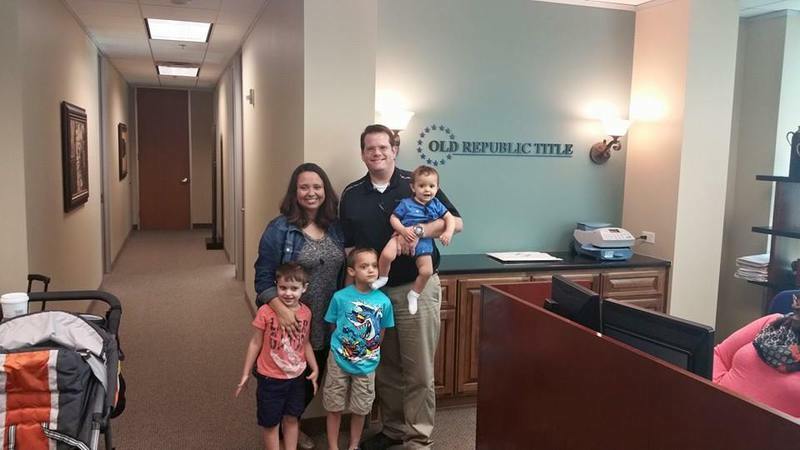 James did an excellent job in helping us find our new home. We looked at many properties over the course of six weeks, and James was always prompt to set up showing appointments (sometimes same-day). He took the time to inspect each home from the foundation to the roof and didn't hesitate to say "walk away" if he saw that upcoming repair bills were not reflected in the asking price. We really appreciate that he presented the relevant information on the houses, schools, and tax rates, and listened to our feedback. He really works to find his clients a home they will enjoy owning. 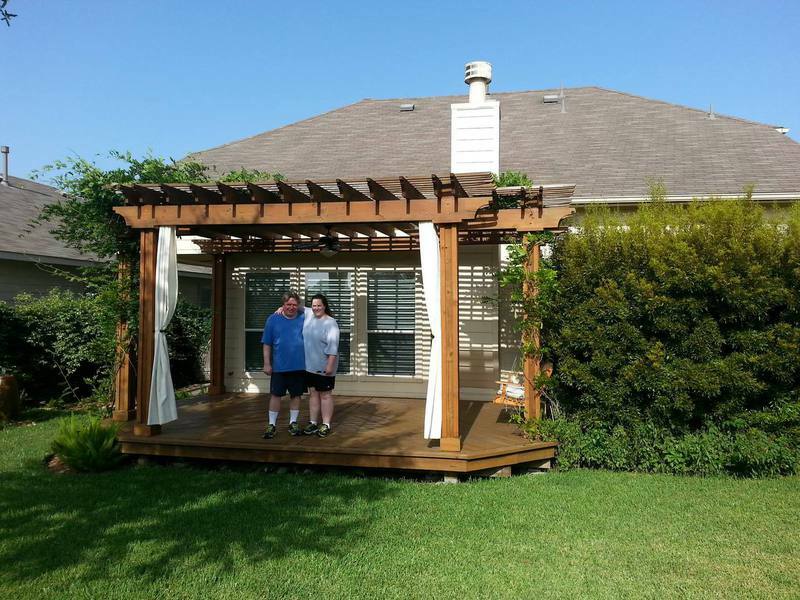 "Working with James made our home buying experience an exceptional one. 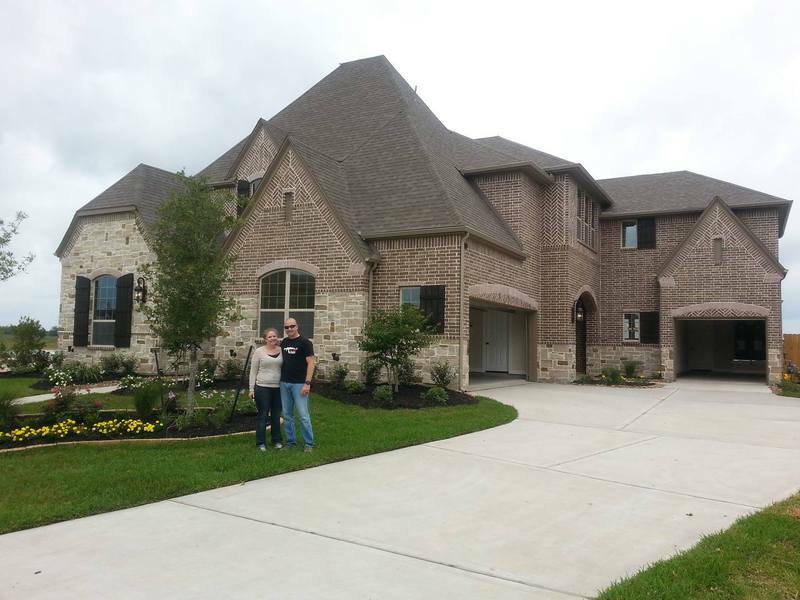 We bought a house in Pearland, TX while still living in California. James was ... more "
"James is a "down home" person. What I appreciated about him the most was his authenticity and just all around sincerity. 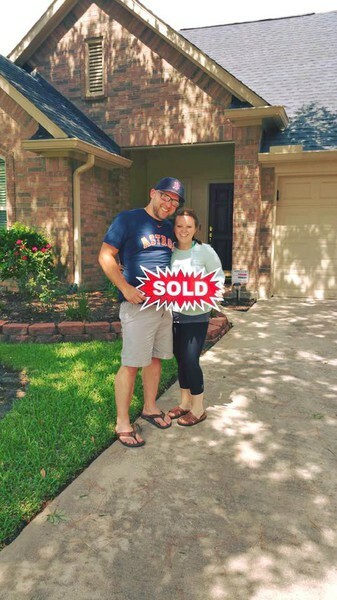 He is not the stereotypical ... more "
We recently closed on a home in Pearland utilizing the assistance of James Potenza as our Buyer's Agent. We couldn't have been happier with anyone else. James proved to be instrumental in guiding us through the entire process from showcasing to closing. James is extremely knowledgeable in market research, is very courteous, and diligent. He genuinely took an interest in us and quickly determined what we were looking for. When we needed breaks he stepped back but more importantly when things got rolling fast, James shown through for us by staying focused on our needs. 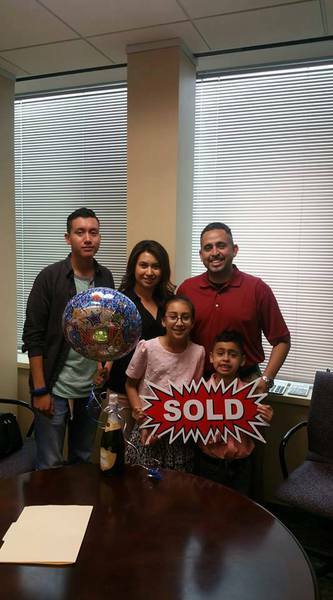 He helped us find another lender a week before closing after ours had been dragging their feet. 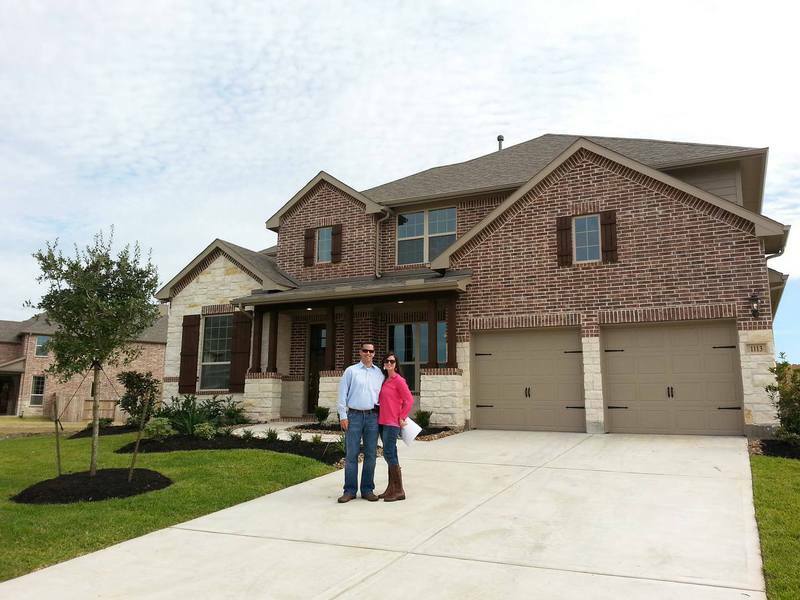 James is a professional and we highly recommend him to anyone shopping for a home. James was very helpful in our purchase of our home. 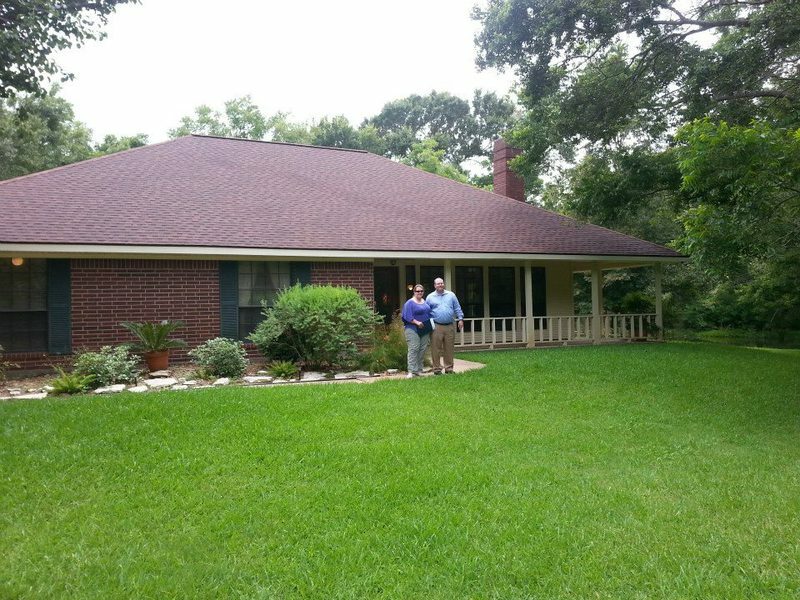 He was patient as he showed us houses in the Pearland area. 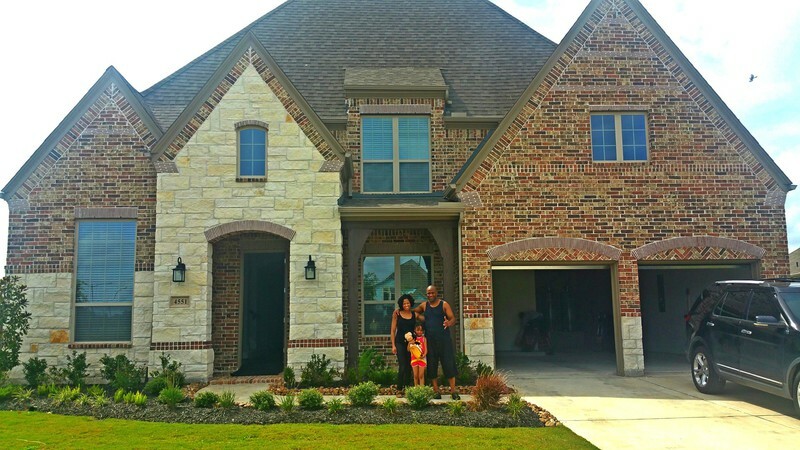 He didn’t allow us to settle on a house, we kept searching for the house we fell in love with. James also showed us things to look for in purchasing a house: A/C, heating units, foundation, roofing, windows, etc. I felt I was getting a pre-home inspection with James. 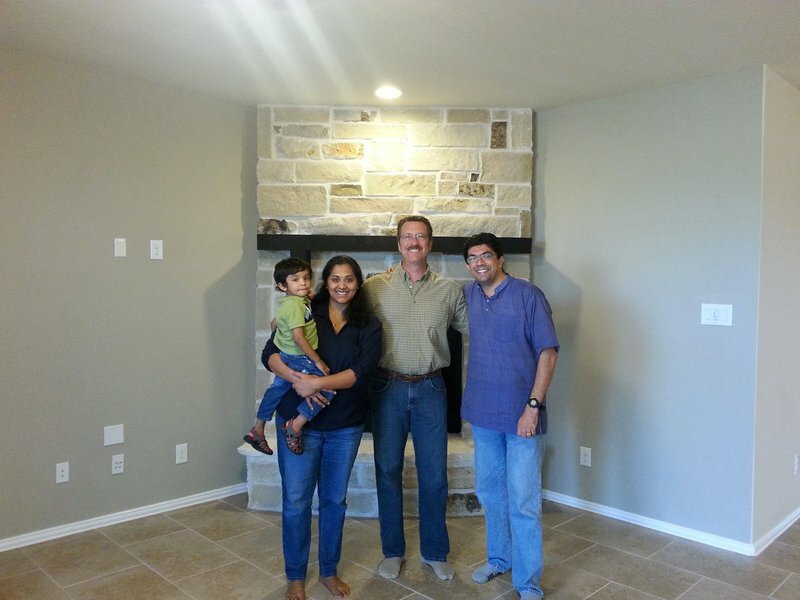 He guided us through each step of the home buying process. I would recommend James to anyone. 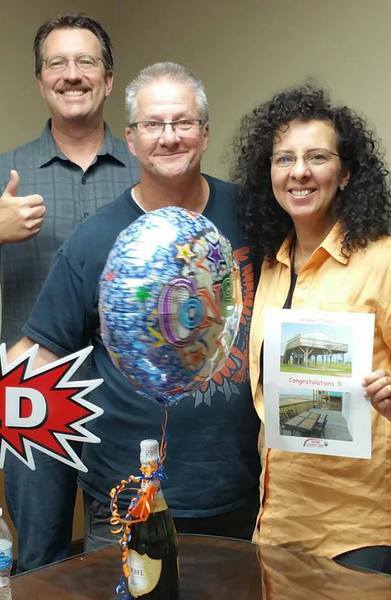 We just wanted to write and thank you for the excellent service you provided during our recent relocation. We were faced with the overwhelming task of moving to a State we were unfamiliar with; to a city we had never even visited. Because of your expertise and knowledge of the home buying industry and your wonderful user friendly web site this process was relatively stress free. We checked your website often and found it current and extensive making it easy to compare prices and availability in all the districts surrounding our target area. Once we had established a profile of the type of property we were looking for your daily emails of homes fitting our criteria made it fun and easy to weed out the chaff. The best part was when we actually traveled the 1200 miles for the purpose of making a purchase you realized that time was of the essence and made your self available to us for the entire holiday weekend. Nothing was too much trouble and our every request was met. You had appointments scheduled in advance so as not to waste any of our precious time and had alternative plans when things went awry. Lastly we would like to thank you for helping us negotiate an excellent deal with the builder of our choice. You facilitated us a contract far in excess of our expectations while keeping everything calm and businesslike. We felt you were truly out to look after our best interests and it was a pleasure to have you as our representative. In the unlikely event that we will be making another move in this area we would not hesitate to call on your services again and you can be sure that we will be recommending you to anyone we come across needing a homebuyer’s agent. 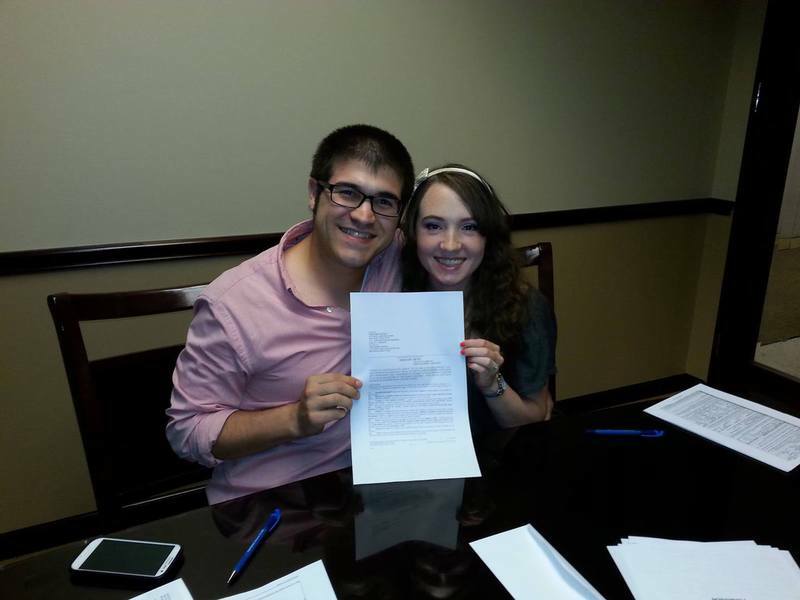 Being both a first-time home buyer and new to the Houston area, I feel very lucky to have found James. James was knowledgeable about the area in which I was looking to buy and very helpful in educating me about the buying process. He made sure he was available on the one weekend that I was able to fly to the area to look at homes. 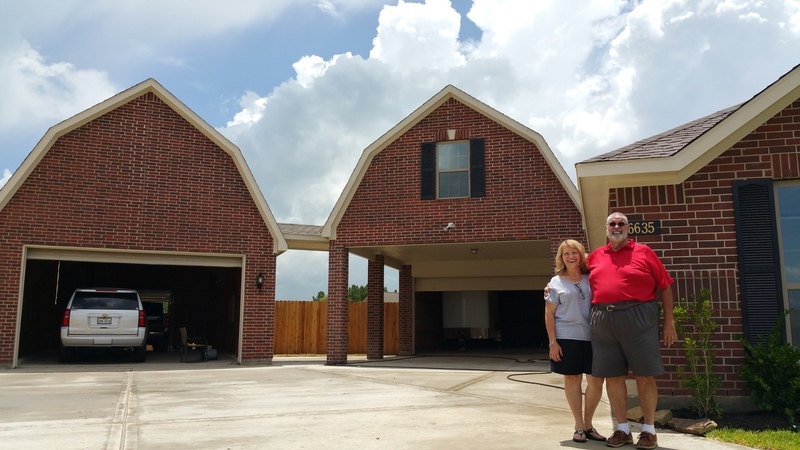 Once I found the house that was literally everything I could have hoped for in a first home, James ensured that the race toward our closing date proceeded smoothly. Now that I’m settled in my new home, I have to say that to call myself a satisfied client is an understatement, and that I am grateful to have found such an outstanding Realtor. 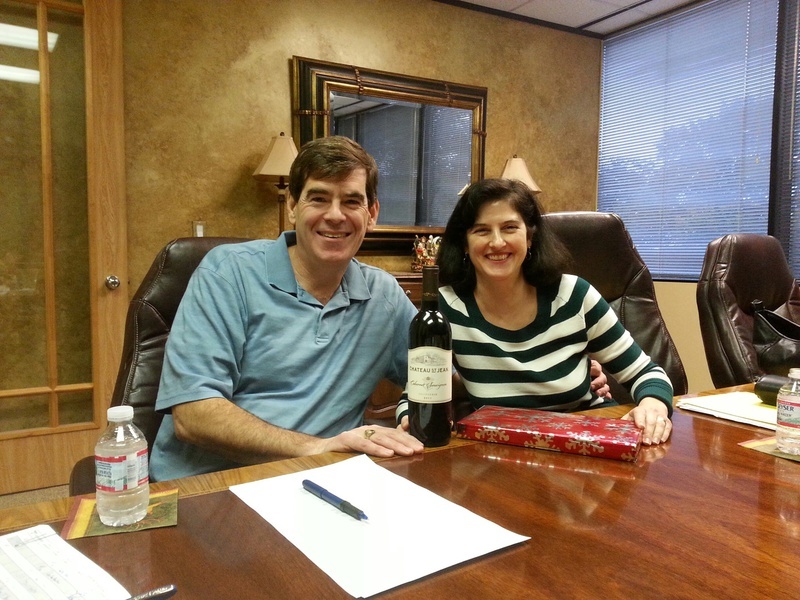 My wife & I recently purchased a home in the Clear Lake area with James Potenza as our homebuyer's agent. 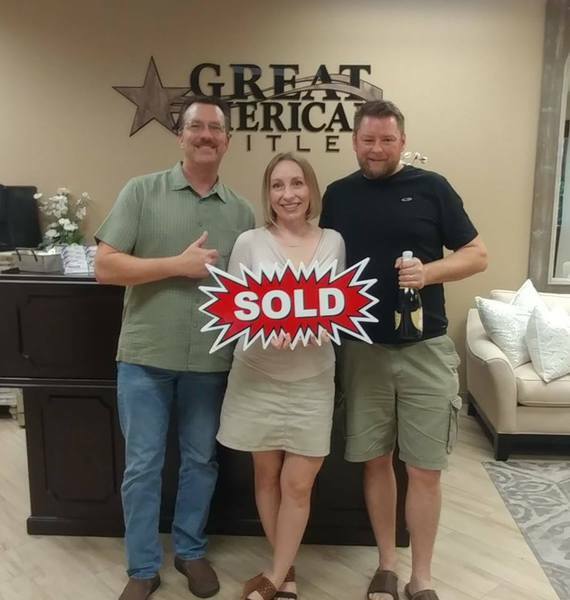 We couldn't have asked for a better agent: James was courteous, professional, and patient throughout the entire process (and especially patient when we had our 4-year-old along to look at houses with "Mr. James"!). 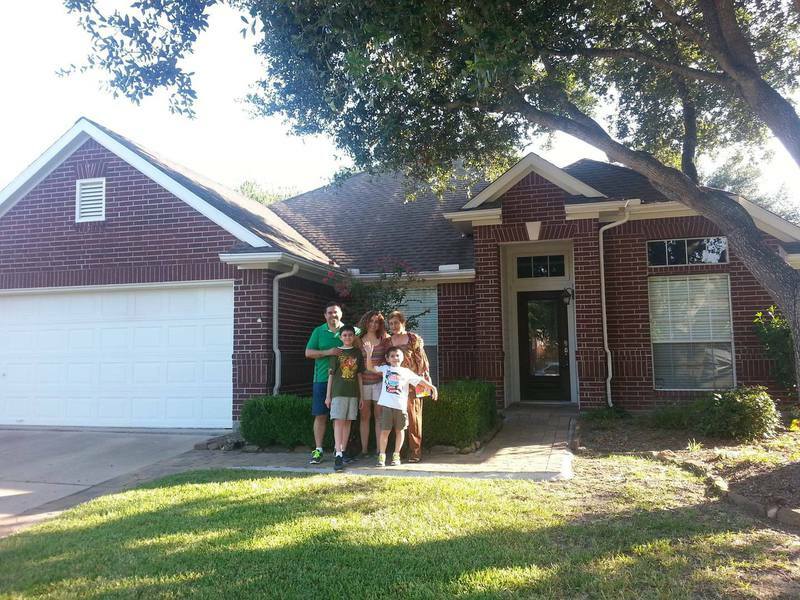 Since we were moving from out-of-state, we greatly appreciated how he made himself completely available to us during the limited time we had for house-hunting. It was evident that he was sincerely interested in finding a home that met our needs, and not just trying to have us buy a house. He was particularly patient and courteous when we needed to step back and reassess what exactly we were looking for in our next home. Once we had made a decision, he was prompt in submitting the offer and professional in guiding us through the closing process. 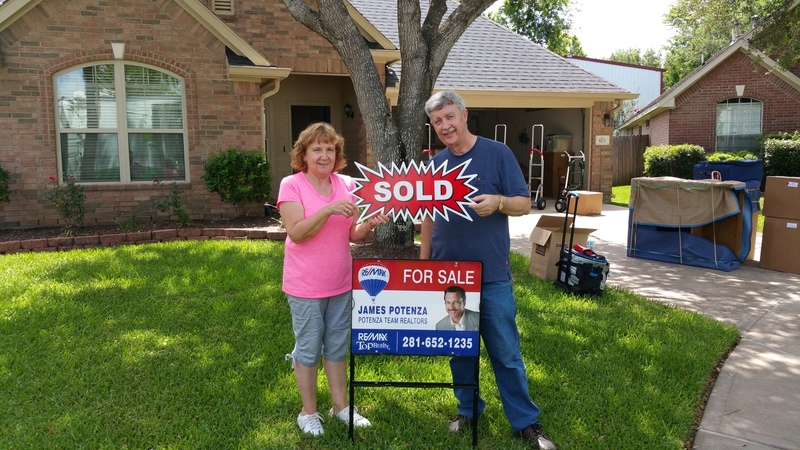 James Potenza was hands-down the best agent we have ever worked with, and I highly recommend him for anyone looking to buy a home in Houston. After accepting a new job opportunity, we found ourselves relocating from Delaware to Texas. We were concerned about the move as we didn't know anything or anyone in our new area. James came to us highly recommended by a co-worker who also experienced a similar relocation recently. Moving is stressful enough without starting a new job or moving halfway across the country but James' knowledge of the area and the builders made the whole process much easier. 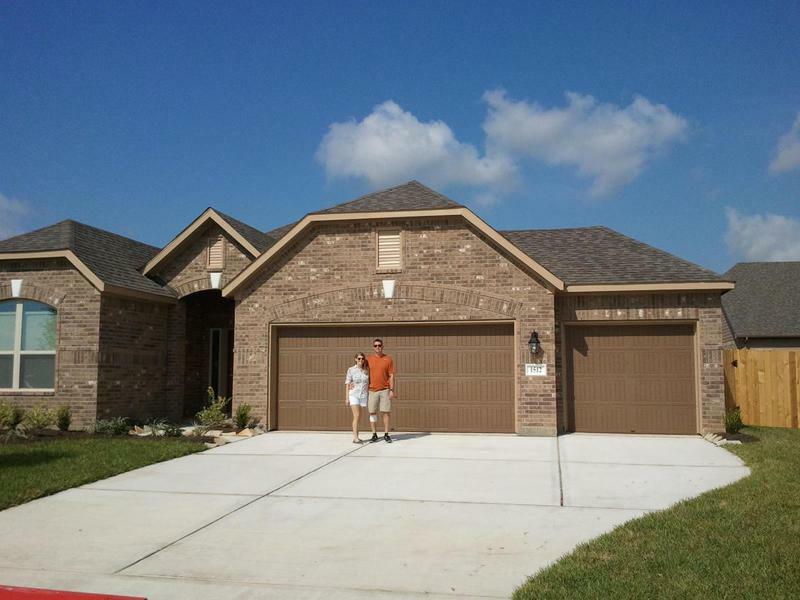 We were able to describe the type of house and neighborhood we wanted and James was quickly able to identify the areas that would best suit these wants and needs. 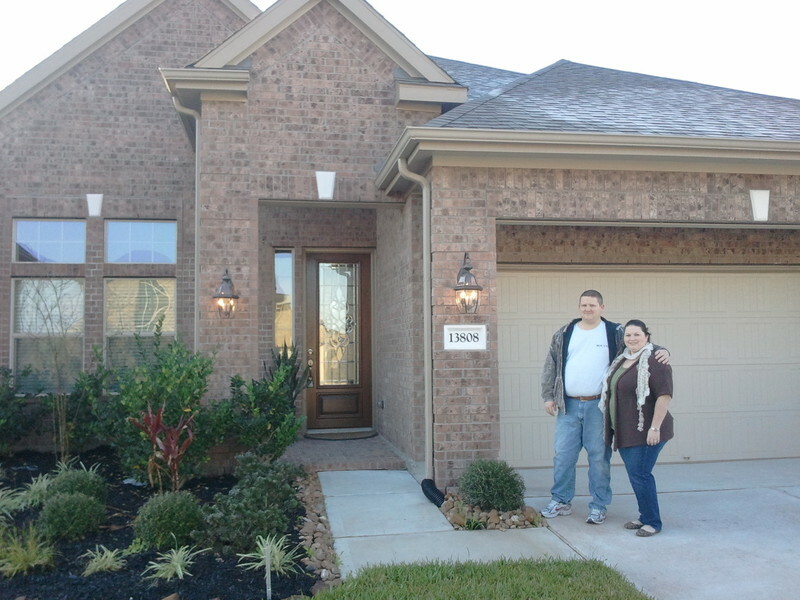 During the house hunt portion, James made himself available to our limited availability and tight time schedule to find the perfect house for us. During the negotiation phase, he obtained a fantastic price for us as well as additional amenities. During the inspection phase, he helped work through all of the issues which were identified. Lastly, when we had to be out of town to close out our old home, James kept on top of everything to ensure the process continued smoothly in our absence. Anything we needed, James took care of it. We are pleased to be able to recommend his services to any other clients but especially to those relocating to the area. 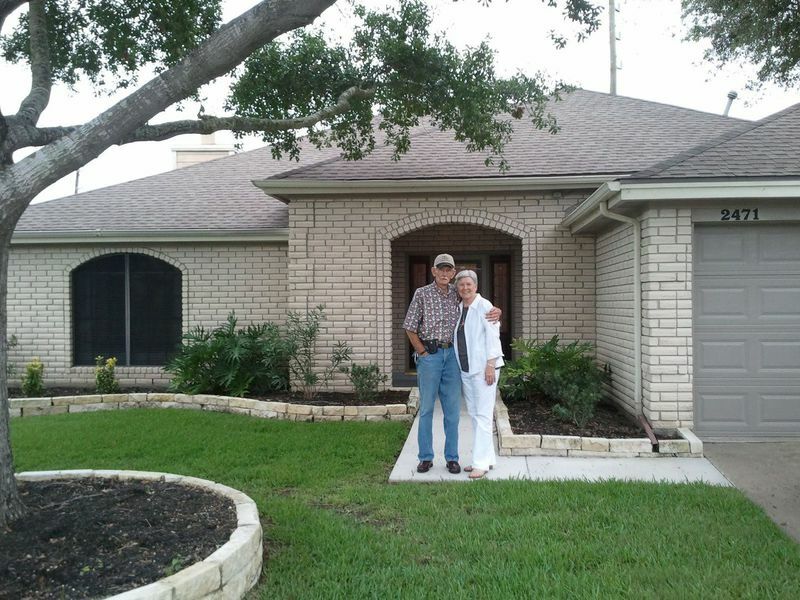 It is our pleasure to recommend the services of James Potenza to any home buyer in the Pearland, TX area. 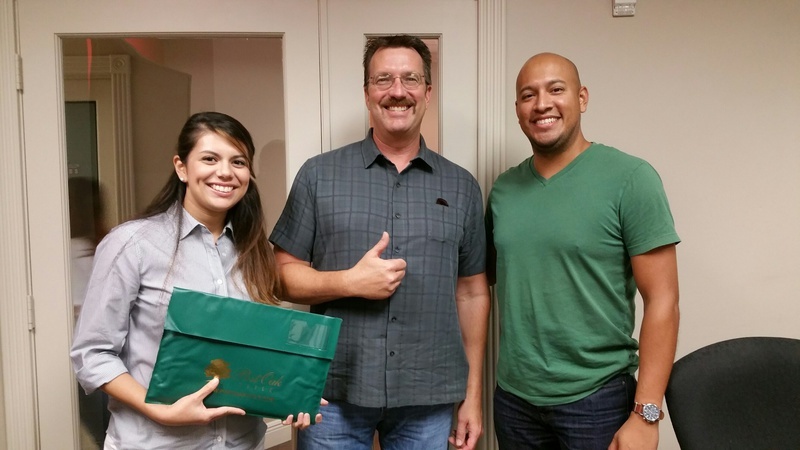 He assisted us in the recent purchase of our home and we greatly appreciated his attention to detail, knowledge, and no-pressure approach. Because we moved from another state, James’s knowledge about the area’s properties, subdivisions, HOAs, taxes, pricing, etc. was simply invaluable to us. He gave us a lot of relevant information and helped us find a beautiful home in a very nice and quiet neighborhood, with convenient access to the highway, shopping and other amenities. James was very attentive to the parameters we set for our search. Not only was he able to create personalized email notifications sent to us with relevant listings, but also was patient with us to show us multiple houses, while providing valuable technical information about each property. 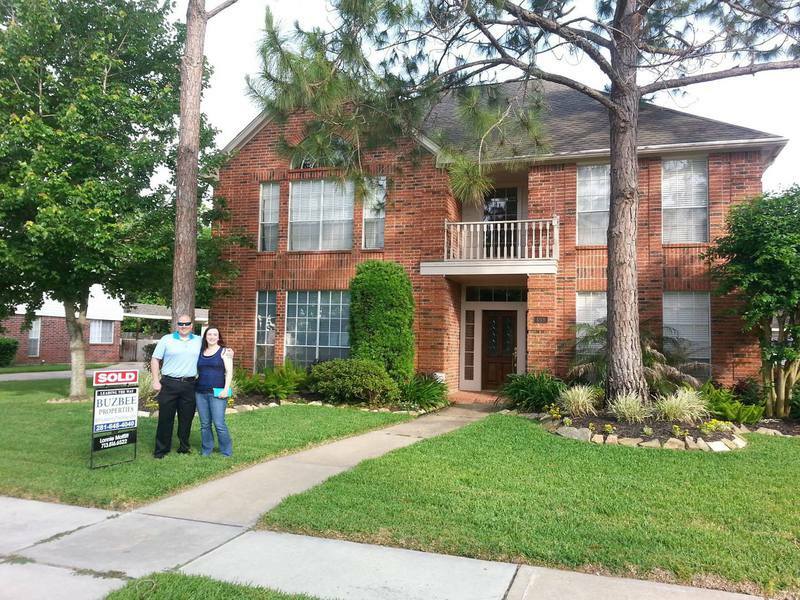 His professionalism let us place our full confidence in the way he guided us through the entire process, recommended home and pest inspectors (both of whom provided very good service to us), and took care of all the necessary paperwork. He even assisted with negotiations, which saved us a decent amount of money. 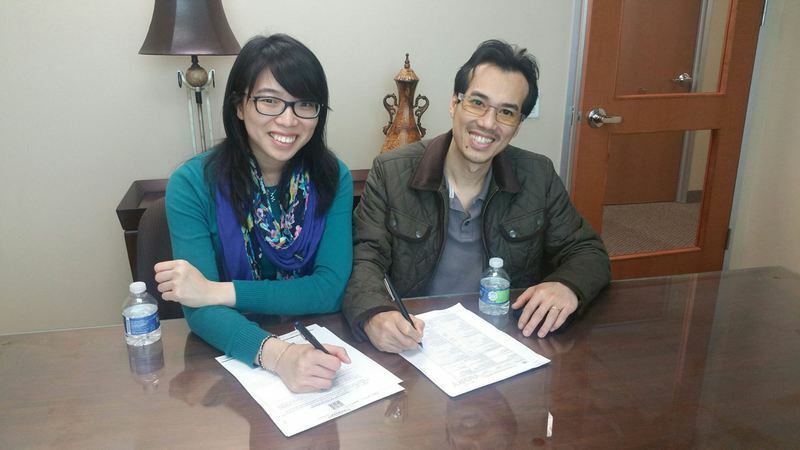 Thanks to James, our home-buying experience was quick and smooth. 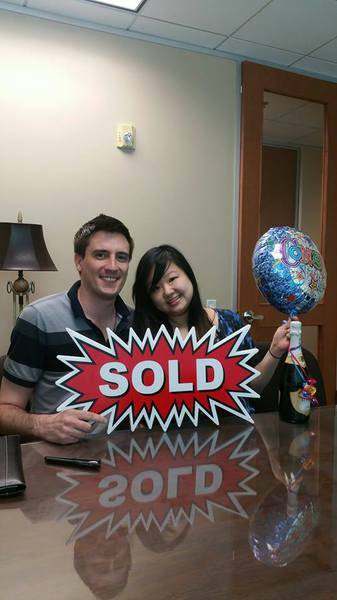 We are extremely satisfied with the purchase and will definitely contact James for any future real estate needs. 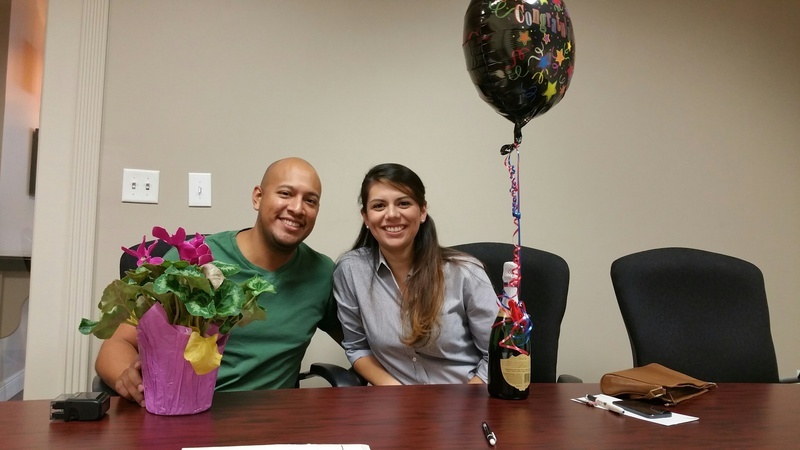 We purchased our first home with James and couldn't have asked for a better experience! 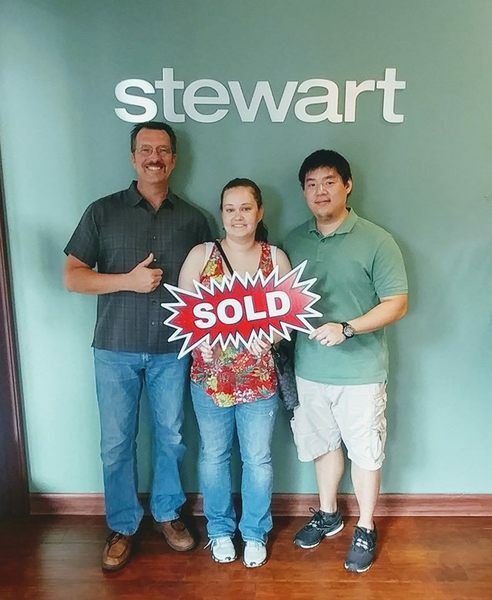 His knowledge and expertise helped get us through the home buying experience in one piece and with the perfect home for us. With our limited amount of time and our rambunctious 1 year old along for the ride, James went above and beyond meeting our expectations. We will send everyone we know to him for their home purchases. 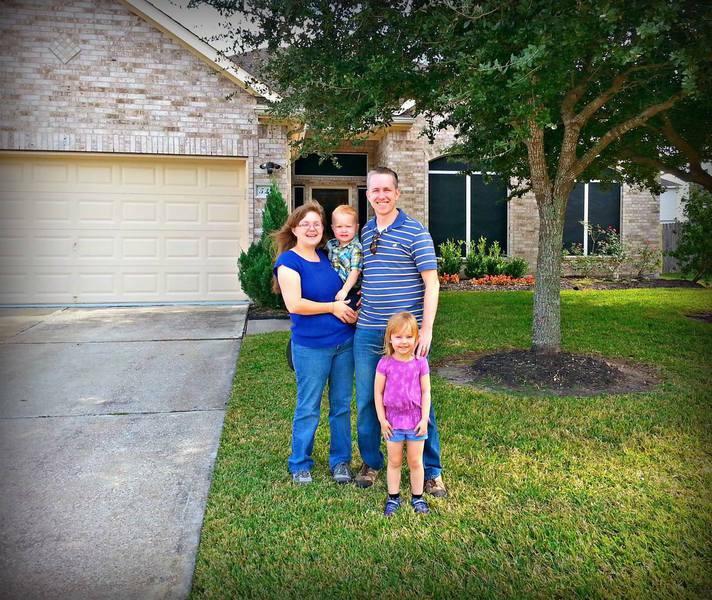 The Hodges Family, League City, TX. Buying a home is one of the biggest financial decisions that most anyone will do in their lifetime. A realtor is everything. They can make or break this financial decision. So with that comes apprehension. I'd dealt with another realtor and it was high pressure tactics and wanting me to sign a contract to exclusively deal with them...what?? Really turned me off but I needed a home. Then I stumbled across James on the internet….great testimonials from previous clients and no contracts, so I gave him a call. James explained his philosophy...how many houses it takes however long it takes. He would not be satisfied till I found the just right home. I liked the internet search site that he set up for me. I could look at homes on my time frame and schedule walk-throughs accordingly. After our first batch of house hunting, I was impressed. James was what his web site said he was. What a relief. He wasn't just about the aesthetics of the house, he would look at construction as well as going into the attic and looking at the condition of the HVAC systems. Never heard of a realtor do that before. On the second round of house hunting I found the just right one! James negotiated the deal, followed through on all details, and kept me informed every step of the way. The closing went without even as much as a hiccup. What a pleasurable experience. 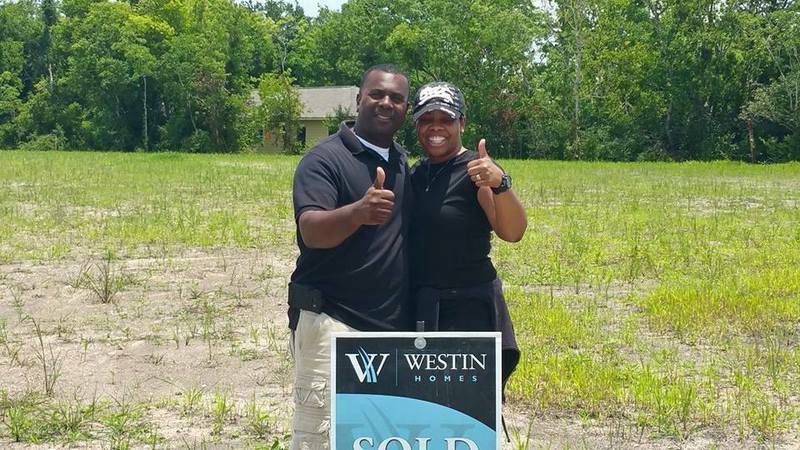 Confidence in your realtor is everything and James earned it every step of the way! James helps you buy a home as if he was shopping for his own home. Give him your parameters and he's on the hunt. He will compile a list of homes tailored to your taste and budget. Once you review them and make your picks he will make all the arrangements. All you need to do is let him do his thing. James will coordinate and schedule views based on your availability. James will walk you through each one of your choices giving you a grand tour of the highlights and lowlights as well as performing the tasks of a hired inspector. 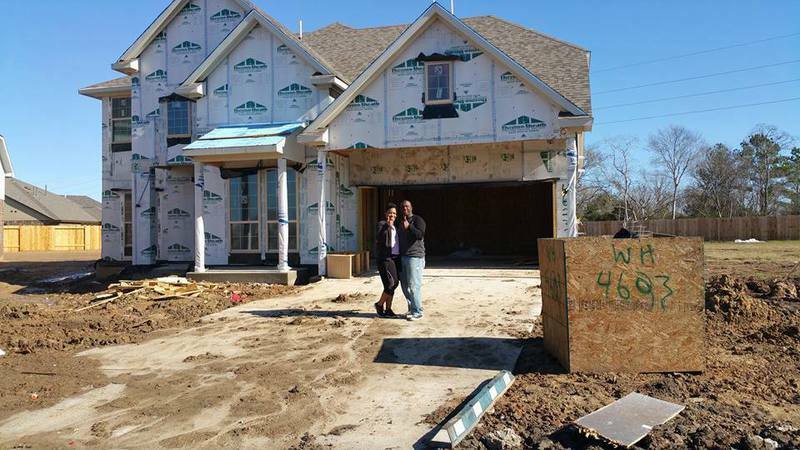 James points out the good and the bad of each property as well as the neighborhood and helps you look out for your investment. As you tour each home James will listen to your input and helps you refine your search for your ideal home. James is all about the "Can you call this place home" mentality. And I can also attest that James follows up after the sale. I have to say that being reputable is earned not only before, and during the sale but more over after the sale. End note: Thanks James for the great customer service. Hope we can help out with your business. You make a great first and lasting impression. We will recommend you any time we can. Thanks again. YOUR REVIEW GOES HERE ! !